What's the European arrest warrant? The European arrest warrant (EAW) is a legal procedure which consists in the request by an EU Member State's judicial authority to another State to arrest and surrender an individual who lives within its own territory. This procedure is inspired to the principle of mutual recognition of judicial decisions among European States. 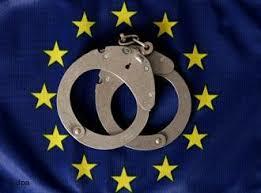 The European arrest warrant is indeed valid in all EU Countries. The procedure was introduced with the EU Council Framework Decision 2002/584 and came into force in Italy by Law 69/2005, it has substituted time-consuming and cumbersome extradition procedures among EU Member States, with specific reference to fugitives from justice after being convicted with final judgement in their own Country of origin, for purpose of optimizing surrender time schedule. a State may reject the EAW in presence of specific compulsory or elective reasons. Responsibility to execute an European arrest warrant is up to the Court of Appeal of the district in which the defendant or offender is resident or temporarily living in the moment the procedure is received from the judicial authority. Alternatively, it is up to the Court of Appeal of Rome. the President of the Court of Appeal undertakes immediate formalities, convenes the Court of Appeal and, after having heard the General Prosecutor, proceeds by reasoned order under penalty of nullity to application of enforcement measure, if found necessary. After 5 days from measure execution, the President hears the party concerned and, in mandatory presence of a lawyer and, if necessary, of an interpreter, notifies the party concerned on the arrest warrant content and enforcement procedure, as well as in regard to the right to agree with being surrendered. In case the arrest is executed by the Italian Criminal Police and it is subsequent to report of the wanted person to the Schengen Information System (SIS), no longer that twenty-four hours after arrest, the individual concerned is made available to the President of the Court of Appeal of the district in which the procedure has been executed, through transmission of the related report, and by giving immediate notification to the Minister of Justice. The Criminal Police undertakes a series of requirements for purpose of safeguarding the individual's right of defence, requirements shall be registered in the arrest report under penalty of nullity. The Court of Appeal decides in chambers on the surrender procedure by judgement, which can be appealed before the Supreme Court. - if the sentence for which surrender has been requested contains dispositions contrary to the fundamental principles of the Italian law. If you wish to receive more information in regard to the European arrest warrant, contact us.